Hello! 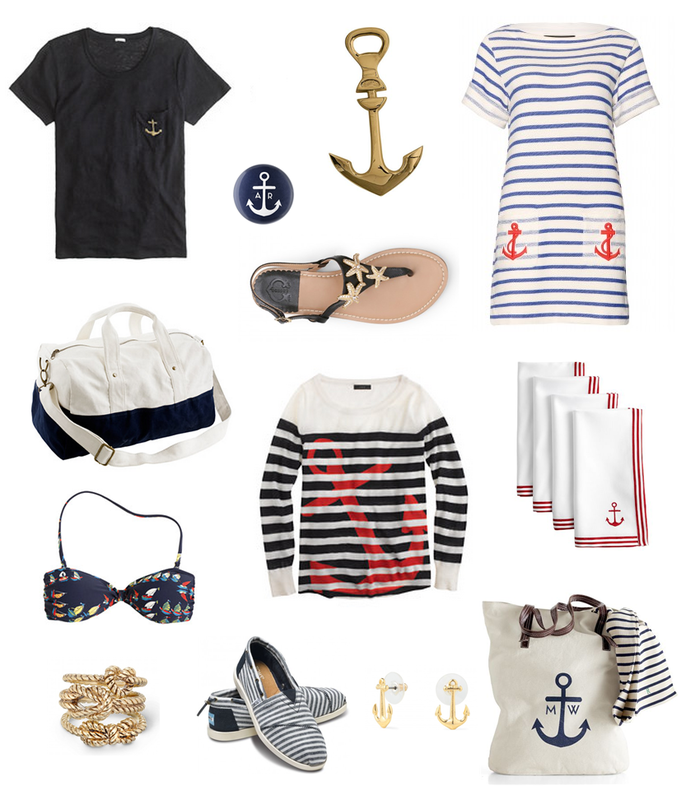 Confession – I have a major obsession with nautical items. Especially anchors! You probably know about my obsession if you are following along on Instagram. Kyle (the BF) teases me and says I enjoy boating fashion more than actually boating itself. He may be right but really, how cute are these items! Not only am I obsessed with plastering anchors on myself, but I can’t wait to decorate our new home with a nautical theme. I’m thinking of dressing our guest room with stripe bedding and nautical details, I get giddy just thinking about it! Is there a theme that you’re obsessed with? Hope you’re enjoying the start of your week. We got plenty of rain last night, I hope everyone in Toronto stayed dry last night! I’m looking forward to a relaxing massage with some girlfriends tonight and an upcoming girl’s weekend. A new fashion DIY project later this week, stay tuned! If you haven’t seen some of my projects in the past – check them out here. The LBD :: The Ultimate Women’s Wardrobe Essential?